A. The district of Alappuzha, washed by the Arabian Sea on the western front lies sandwiched between the district of Kollam on the southern side, Ernakulam on the northern side and Kottayam on the Eastern side. Q. What does it hold for its visitors? A. Alappuzha affectionately called the Venice of the East has an immense measure of tourism potential in store for its visitors. A leisurely cruise in a houseboat in the magnificent backwaters, the sight of the palm fringed canals, the country side where farming is done below sea level, the mirror still lagoons, picture book lakesides, its long sandy beach, historic monuments, pilgrim centers, coir industry, ayurvedic rejuvenation centers, the boat races during the months of July, August, September etc are some of the magnificent sights that every tourist should never miss. Q. Which are the various cruise routes? For more details click the backwater link. Q. How to reach Alappuzha? A. By Air - The nearest airport is Cochin, 64 kms to the North. Trivandrum International airport is 159 kms to the south. By Road - Alappuzha is on the NH 47 highway and is connected to all the important towns in South India. By Rail - Alappuzha is linked by rail to cities like Cochin, Trivandrum, Chennai, Kolkota, Bangalore and Bokaro.The railway station is situated 5 kms away from the bus station and ferry station. By Boat - Alappuzha is also accessible by boat from Quilon, Changanassery, Kottayam, Cochin, Kumarakom, Kovalam and Chengannur through the backwaters..
For Houseboat - Click on the advertisement icon for housboats. For tour package- click on the Package link. 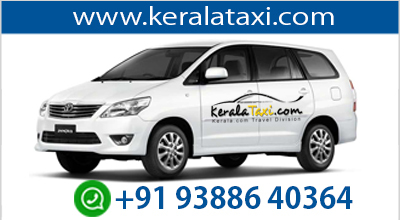 Log on to www.keralatravels.com , choose your appropriate link and fill the form. Your request will be answered as early as possible.